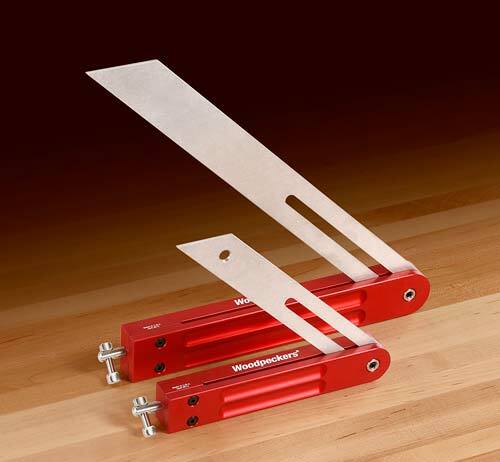 The Woodpeckers OneTime Tool Bevel Gauges and Angle Reference Plate are back by popular demand! The last time this tool set was offered in the OneTime Tool plan they were extremely well-received. After the buying period closed, Woodpeckers received so many requests from customers to re-run the tool in the OneTime Tool program that Woodpeckers decided to release it again in the current run. The reason for this tool’s popularity is clear once you are holding one in your hand. 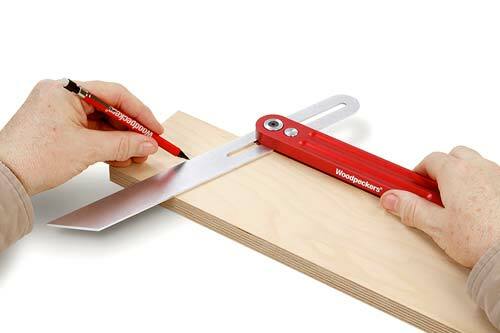 The problems that typically plague bevel gauges – undependable blade locking and frustrating tightening lever setup – have been solved with the Woodpeckers bevel gauge. The blade locks at the base of the handle to insure dependable locking every time. And the tightening lever is fashioned after a workbench vise, so the sliding mechanism allows it to turn easily, even in small spaces. The Angle Reference Plate is another great Woodpeckers innovation that simplifies your workflow. 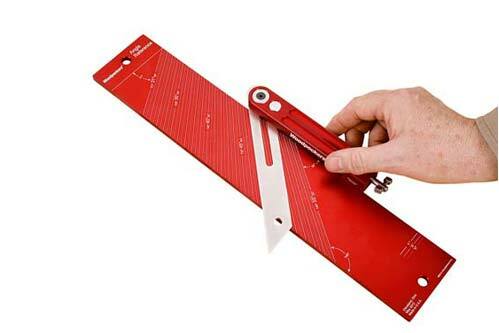 Just find the angle you need on the Reference Plate, lock your Bevel Gauge in place to match, and you are ready to go. The Woodpeckers Bevel Gauge is one of those tools that just feels good to hold and to use. These great looking tools will get regular use in your shop and will last for generations. Make sure to act now – even though the Woodpeckers Bevel Gauge and Angle Reference Plate were re-released in the OneTime Tool program, it is only available to buy until July 18th, 2016. Don’t miss this rare opportunity at a second chance! Looking to buy an angle reference plate. Can’t find one anywhere. Are you going to reissue? Why do you not stock them? Jerry in Chattanooga TN. Hello Jerry. The Bevel Gauge was a Woodpeckers OneTime Tool, which is a tool that is only available to order during a certain time frame and then the manufacturer, Woodpeckers makes all of the orders at once (kind of like a custom order). Unfortunately, we do not know much in advance of their next OneTime tool and so we are unable to say if/when this tool will be reissued.